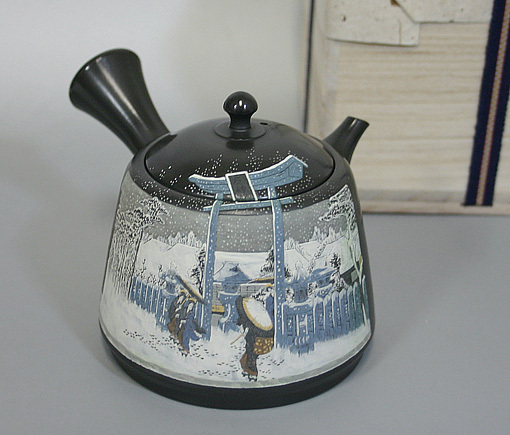 Beautiful teapot by Kodo, famous for his detailed engraving techniques. 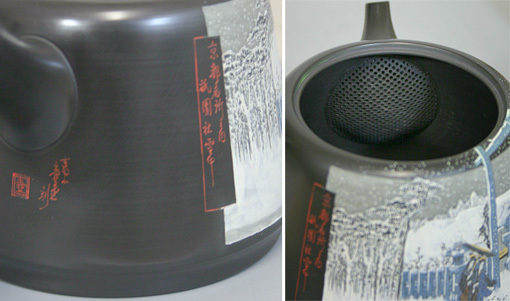 Master craftsman recognized by the Ministry of Economy, Trade and Industry of Japan, winner of various prizes. 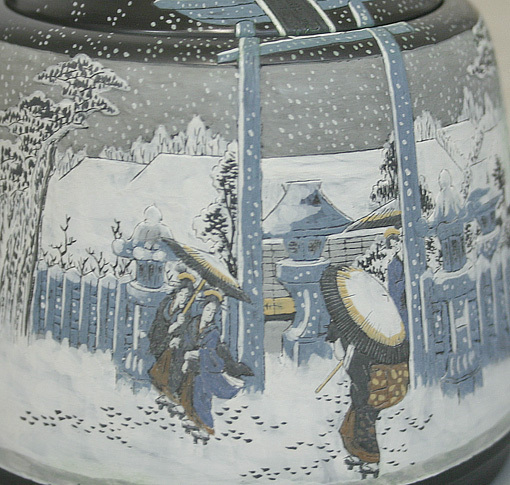 From Hiroshige's FOUR SEASONS "SNOW", "Snowfall at Gion Shrine" is engraved and colored in fine detail.